Meet ‘Miles’, our new most comfortable heel. With a thicker flexible outsole, new sock with memory foam in the heel and ball of the foot, this classic career pump will become your everyday work shoe. 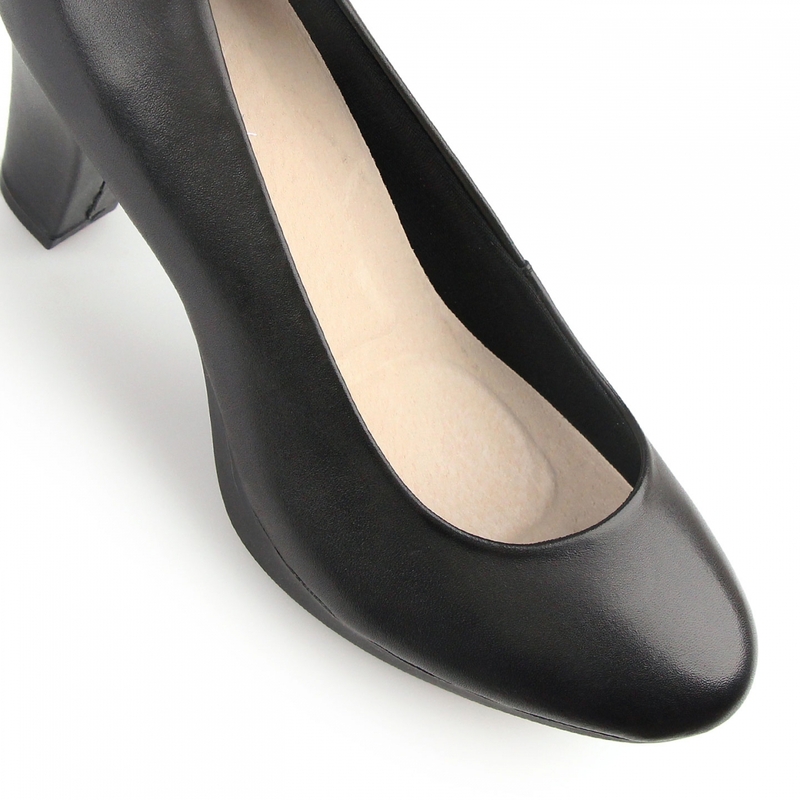 Featuring 1cm platform height, 7cm thick heel, patent leather upper and leather sock. Meet ‘Miles’, our new most comfortable heel. With a thicker flexible outsole, new sock with memory foam in the heel and ball of the foot, this classic career pump will become your everyday work shoe. Featuring 1cm platform height, 7cm thick heel, leather upper and leather sock.